When it comes to outdoor amenities, Montana’s state parks and their public trails reign supreme. A new report from the Institute for Tourism and Recreation Research at the University of Montana found that almost nine in 10 state residents have visited a Montana state park in the past year, and most go looking for a public trail when there. The study split the Montana population into three adult categories ranging from 18 to 35, 36 to 55, and 56 and older. The wants and needs expected from a state park differed by age. Nickerson said 95 percent of those in the 18 to 35 group wanted trails, followed by 88 percent of those aged 36 to 55 and 77 percent of those aged 56 and up. 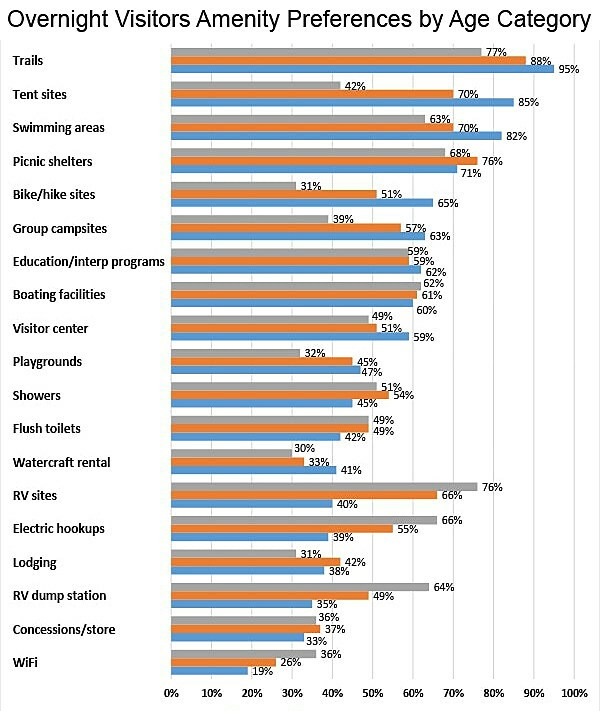 When it came to overnight stays in a state park, 85 percent of the younger group wanted tent sites compared to just 42 percent of the older group. Just 40 percent of the younger group wanted RV sites, compared to 76 percent of the older group. Ben Alexander of the Montana Parks in Focus Commission said the information gleaned from the survey will come in handy. WiFi was generally the least desired amenity in state parks. Roughly 36 percent of older overnight visitors said they wanted WiFi compared to 26 percent of the middle age group. Just 19 percent of the younger group desired WiFi. Nickerson, who also serves on the Parks in Focus Commission, said that while trails are the most popular amenity, state parks must provide recreational experiences to all visitors, and all age groups. The ITRR study surveyed 6,193 Montanans over 18 at gas stations and rest areas throughout the state from April through mid-June. The data were weighted to represent Montana’s population and gender.